A Noise Within, one of the nation's premier classical repertory companies, has mounted an ambitious, if somewhat tame, revival of the Brecht/Weill classic. 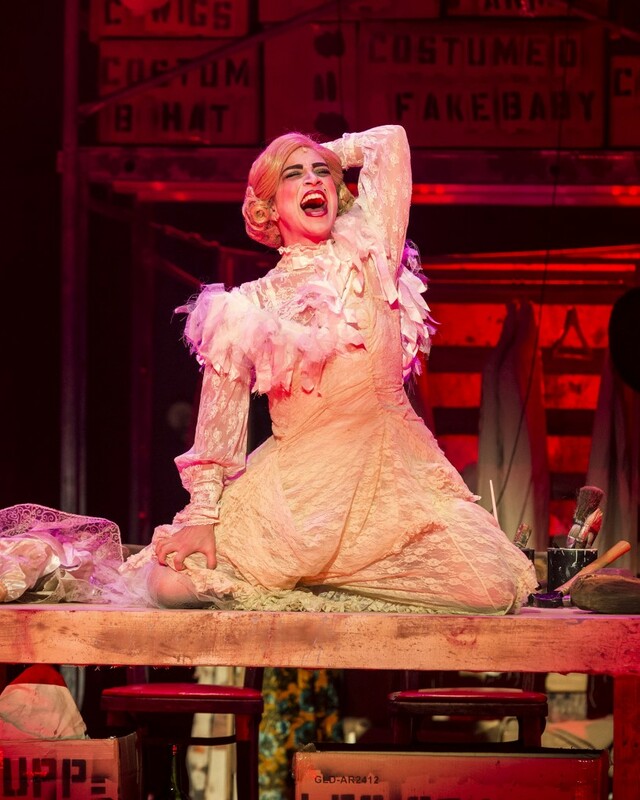 With a solid ensemble cast under the direction of Artistic Directors Geoff Elliot and Julia Rodriguez-Elliot, the company mounts a faithful and spirited rendition of the timeless Threepenny Opera. While the directors have taken a pretty traditional approach to the play, using a number of familiar Brechtian touches, several notable performances make the show memorable. Marisa Duchowny plays an insouciant and sassy Polly Peachum and displays a spunky style that gives a new twist to the role. Geoff Elliot is a rollicking and delightful Mr. Peachum, using sly gestures and pompous grandiloquence to underscore Brecht's political and philosophical points. Deborah Strang is as striking and piquant as ever in the role of Mrs. Peachum, and Andrew Ableson is a snarky and sinewy Macheath. Although the production aims at contemporary resonance, it does seem somewhat anchored in revivalism, in part because of its deference to the strong traditions of Brechtian performance and production styles, which have now been largely co-opted into mainstream theater. In our post-modern world, Brecht's barbed political and philosophical vision is better served by a departure from his theatrical techniques. The production elements, as with all of this company's work, are excellent. The small orchestra under the baton of DeReau K. Farrar is outstanding, and the costume design by Angela Balogh Calin and hair, wigs and makeup by Gieselle Blair are sublime. Also special kudos to dialect coach Nike Doukas for the uniformly East End dialect of the entire cast.